Here you get a set of fine finger board axis. 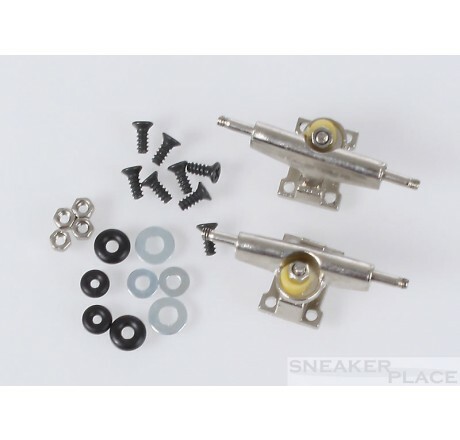 These B-Low Trucks are 26mm wide, stylish chrome finish and are equipped with a Bushing Set, washers, and nuts Achschrauben. 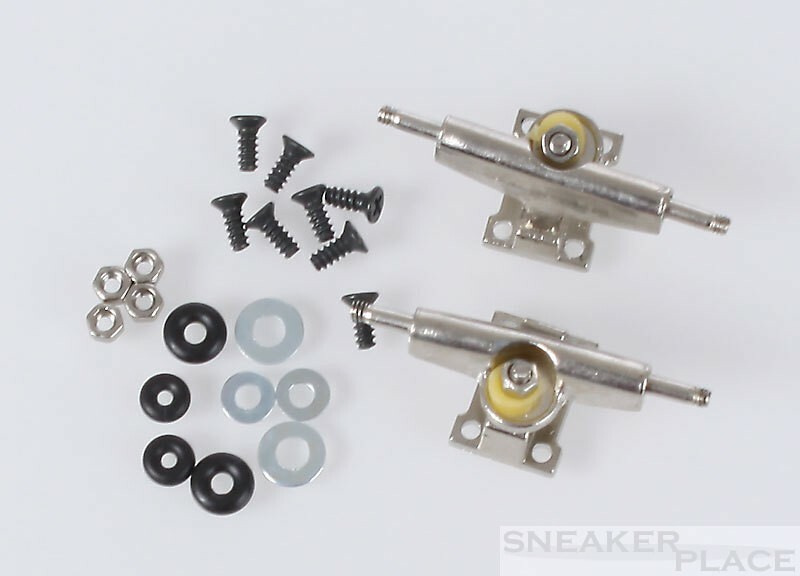 The smaller B-Low Trucks fit all finger boards that are between 26mm and 28mm wide.